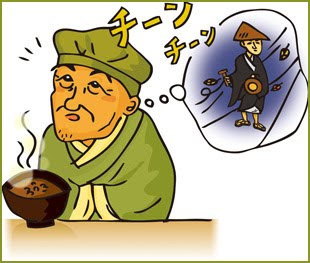 The famous Mito Komon was very fond of Natto !
. Mito Kōmon 水戸黄門 Tokugawa Mitsukuni 徳川 光圀 . is a traditional Japanese food made from fermented soybeans, popular especially at breakfast. A rich source of protein, nattō and the soybean paste miso formed a vital source of nutrition in feudal Japan. 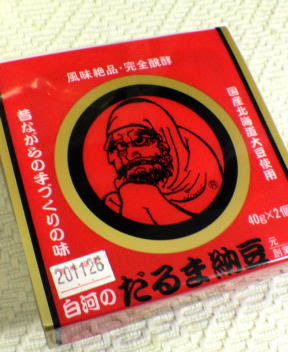 For some, nattō can be an acquired taste due to its powerful smell, strong flavor, and sticky consistency. In Japan nattō is most popular in the eastern regions including Kantō and Tohoku. 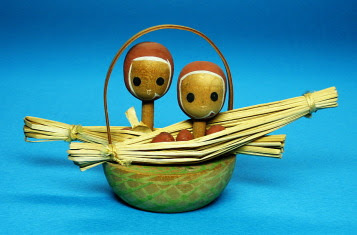 The materials and tools needed to produce nattō (soybeans and straw) were commonly available in Japan since ancient times, so the discovery could have happened as early as in the Jōmon period. It may also be possible that the product was discovered independently by numerous people at different times. The sources differ about the earliest origin of nattō. 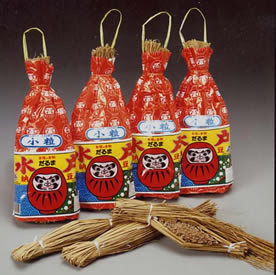 One source puts the first use of nattō in the Jōmon period between 10,000 and 300 BC. According to other sources the product may also have originated in China during the Zhou Dynasty (1134 - 246 BC). Another story is that Yoshiie Minamoto was on a battle campaign in northeastern Japan between 1056 and 1063 and another campaign between 1086 and 1088 when one day in 1083 they were attacked while boiling soybeans for their horses. They hurriedly packed up the beans, and did not open the straw bags until a few days later, at which time the beans had fermented. The soldiers ate it anyway, and liked the taste, so they offered some to Yoshiie, who also liked the taste. 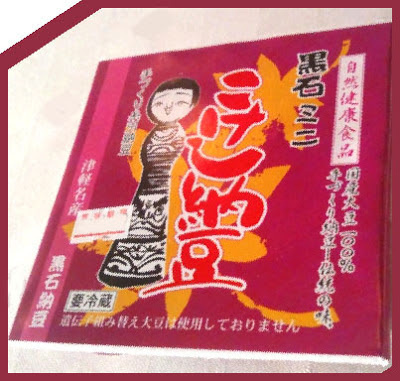 One significant change in the production of nattō happened in the Taisho period (1912 - 1926), when researchers discovered a way to produce a nattō starter culture containing Bacillus natto without the need for straw. This greatly simplified the production process and enabled more consistent results. 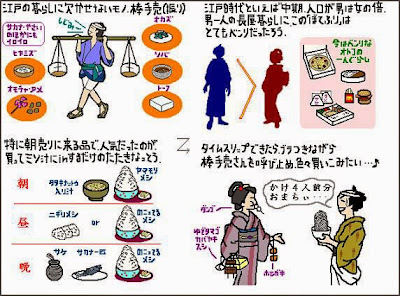 It is often said in Japan that nattō is good for health, and these claims can be backed by medical research. good for your health, especially the joints of the knees when getting older. People in Mito have much less knee problems !! We eat natto almost every day! nebarizuyoi, be sticky like natto! nebarikatsu, be sticky and win ! To Pass the Examinations ! with okura, tororo grated mountain tubers, ikura salmon roe, nameko mushrooms, sticky konbu seaweed and on top of it Natto with an egg of a quail.
. nattoobachi 納豆鉢　bowl to stir natto . 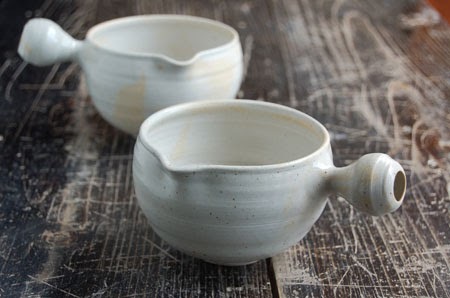 It has a handle to hold it firm, a round bottom to stir the beans, is big enough to add some topping and has a sprout to pour the mix on a bowl of rice for breakfast. They are made by various potters, especially in Kasama. I had stopped by natto restaurant Tenmasa for a nebari donburi (sticky rice bowl) lunch. This item, which is definitely in the running for the title of the world's slimiest dish, consists of toro imo (grated mountain tuber), okra, salmon roe, nameko mushrooms, a type of kombu (kelp) and natto garnished with a raw quail's egg placed atop a large bowl of rice. Many foreigners here can never get used to the stuff. "It's fetid, slimy and visually repellent," a lady friend from the U.K. once exclaimed to me. In its defense, I would just add that natto is an inexpensive, healthy food that lends itself to a variety of preparations. For about ¥80 for a 50-gram pack, natto boasts around eight grams of protein and only 100 or so calories, making it far cheaper and healthier than animal protein. 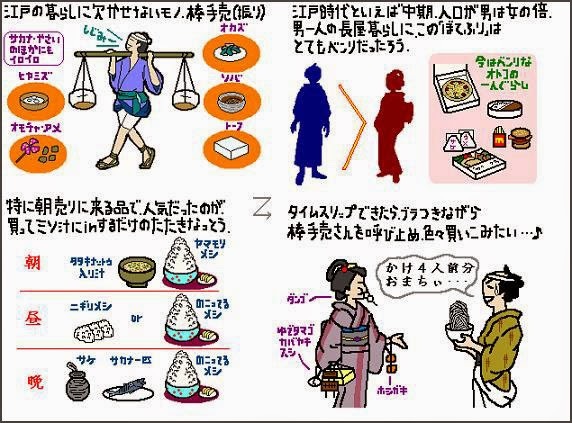 Incidence of stroke is said to be statistically lower in parts of Japan with high natto consumption. five minutes from Mito Station. 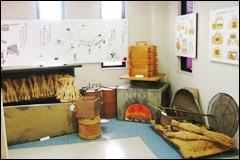 I also toured the small museum upstairs, which, along with panels introducing the company's history, features an exhibit demonstrating traditional natto-production methods. 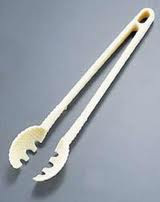 like an open spoon to eat easily. "'Nattoo' is a traditional food made from fermented soybeans. Finely chopped onion leaves, mustard greens, and seaweed were often added to the soybeans." please wait for cutting natto for a while."
. 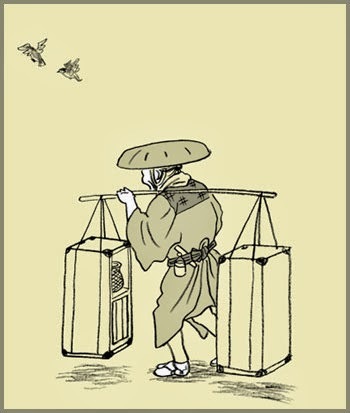 Kuya Shonin, (903-72)　空也上人 . With another haiku by Basho. waking everybody with his loud shouting. 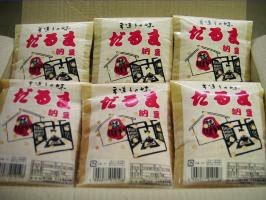 Natto was sold only in winter on the streets of the early Edo period. But during the end of the Edo period it was also sold in summer. They hacked and chopped the natto beans into small pieces and sold them like that (tataki nattoo 叩き納豆) for people to prepare a fast soup for breakfast (nattoo jiru　納豆汁).
. Doing Business in Edo　江戸の商売 Food vendors . More FOOD with Daruma ! More about Buson and the ladies . 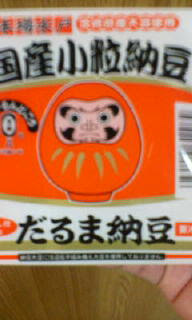 . .
Natto kanban with a Tengu !